SkyMaster Pro binoculars are the ideal choice for amateur astronomers or anyone that observes at great distances. Compared to lower-priced large aperture binoculars, SkyMaster Pro uses superior optics, coatings, internal parts and housing materials. With large objective lenses, BaK-4 prisms and fully multi-coated optics utilizing Celestron’s proprietary XLT coating technology, the view through a SkyMaster Pro is second to none at this price point. The built in tripod adapter of the SkyMaster Pro 15×70 allows the binocular to be attached to a tripod for added stability during longer viewing sessions and also allows a red-dot finder to be attached to it utilizing the included RSR “Reflex Sight Ready” Rail. When properly aligned with the binocular, the red-dot finder will allow objects to be brought into view quickly. 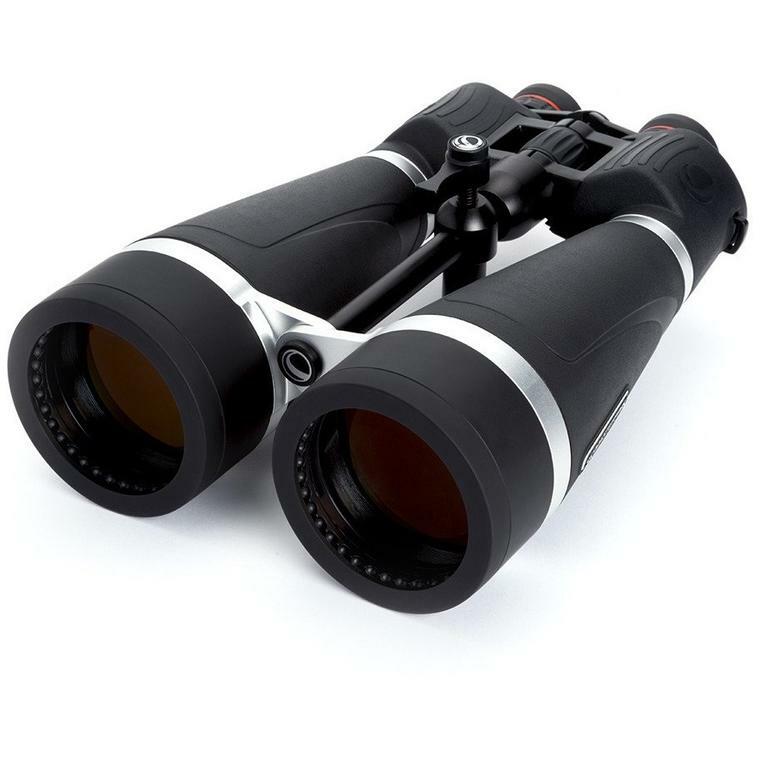 SKU: 10CEL00099 Categories: Sports optics, Binoculars & Acc. Be the first to review “Celestron 20×80 SkyMaster PRO” Click here to cancel reply.